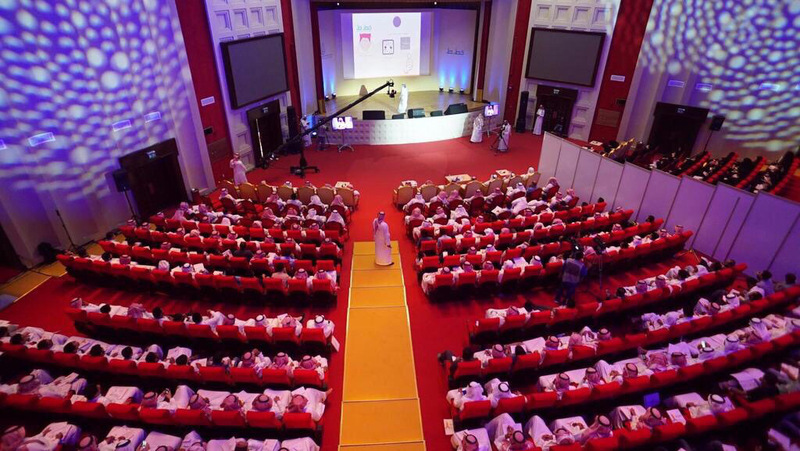 The Riyali Financial Literacy Program was presented at the Khattet Forum in its third round held in the conference hall at the University of Dammam. The Forum organized by King Salman Youth Center in an initiative that aims to train the youth to be able to develop and organize their daily lives in many fields. Dr Kamal Shaban Abdeulaal, CSR Manager of SEDCO Holding Group presented a panel discussion on financial planning entitled (Money: Saving and Investing). He showcased the importance of sound financial planning the practice of saving and how to make use of financial loans. He also shed light over the most prominent skills that contribute to shaping a better future for the youth by raising awareness and equipping them with the right knowledge and skills towards positive planning. This panel discussion falls under the Riyali Program’s keenness to participate in several activities and forums that help in raising financial awareness among the youth. This can also help in changing financial behaviors, especially when discussing financial planning in the future and taking responsibility, in addition to instilling sound habits for the youth while explaining the process of financial budgeting per individual.